I kicked off with 100g of sour dough culture,100g w/m spelt , 100g bakers flour and 400g of water mixed to a batter and set aside later I added 250g of bakers flour and mixed together with a spoon half an hour later added 10g of salt and soon after 10g of dry yeast again mixed together with a spoon and allowed to ferment after an hour a set of stretch and folds with oiled hands and oil around the bowl. half an hour later another set of stretch and folds with oiled hands. 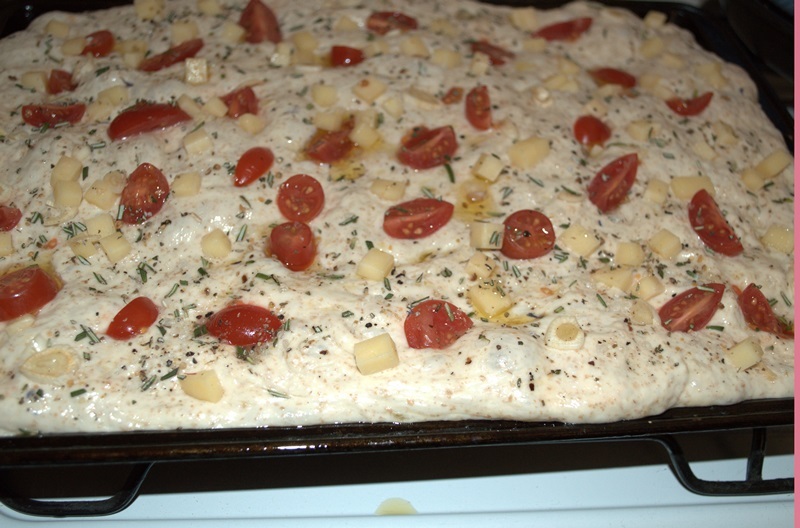 half an hour later the dough was spread onto a baking sheet an spread out dotted with grape tomatoes, chopped garlic , white Rosemarie sprig chopped, salt pepper drizzled olive oil and small cubes of chedder and into the oven at its highest temp before turning down to about 22o -230 to bake nice and crisp . taste grand! Well done and happy baking Derek. Thanks Dab I have a piece left to take to my exercise class for a lady that was enthusiastic about talking bread last week, I'm sure she will enjoy! 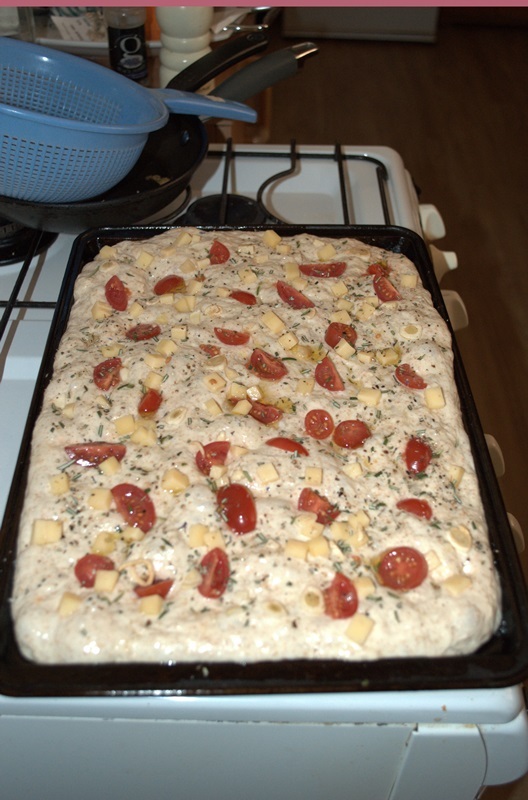 Other than touching the dough with oiled hands for stretch and folds and pulling and pushing around the baking tray there was no other dough handling. it was all those things and now its all gone too!